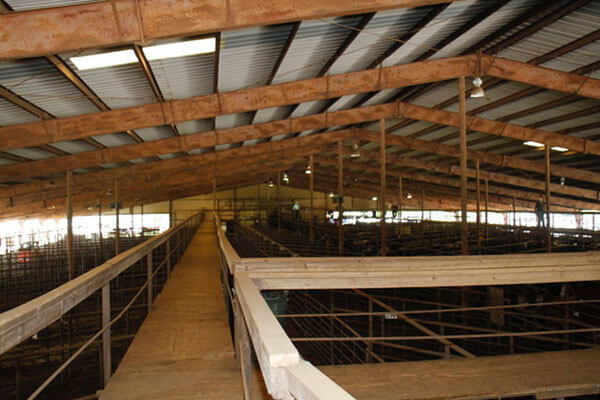 East Texas Livestock is a modern day cattle auction centrally located in Crockett, TX. We pride ourselves on market setting prices, researched techniques on how to handle and market cattle while offering exceptional customer service. Owners, Paul and Ray Craycraft grew up in the cattle industry learning under their father "Bigon" Craycraft. After realizing the need for a larger and newer sale by out growing the Crockett Livestock’s facility, East Texas Livestock was built in 1981. Having served the cattle industry for 67 years between the two, East Texas Livestock is well recognized and draws buyers and sellers from across several states each Tuesday resulting in market setting prices. Being strategically located in the heart of Texas cow-calf country, East Texas Livestock has grown to become the largest stocker and feeder cattle sale in all of East Texas and ranks among the top sales in the entire state, including all of Louisiana’s sales. Offering a wide range of services to area ranchers, East Texas Livestock continues to set the pace for both prices and service, which in return helps the producers have the necessary tools to make sound marketing decisions.